The Falklands War began as a tragically misguided game of smoke and mirrors, designed to inflame Argentinian patriotism and redirect attention away from internal crises. 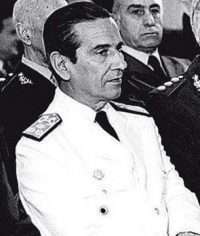 As economic stagnation and vocal dissatisfaction with the ruling military juntas persisted, General Leopoldo Galtieri and Admiral Jorge Anaya orchestrated an unprovoked invasion of the Falklands, a thinly populated archipelago in the South Atlantic Ocean, in an attempt to wrest the islands from British control and assert a century-old Argentinian claim. On April 2, 1982, Argentinian forces invaded, expecting an easy, bloodless victory. To their surprise, the British, led by the charismatic Prime Minister Margaret Thatcher, launched an immediate counterattack, deploying a naval task force to secure the seas before forcefully retaking the islands. On June 14th, seventy-four days later after the initial assault, the Argentinians surrendered and withdrew. The Falklands War had massive political ramifications within Argentina, where popular disgust at the defeat sparked a new series of protests and facilitated the downfall of the military government. Meanwhile, in Britain, national excitement over the Falklands earned Thatcher’s Conservative Party its most decisive victory since World War II. In an interview with Charles Stuart Kennedy beginning June 1998, Miles S. Pendleton, who was deputy director of the office of Northern European Affair at the time of the Falklands War, discusses the conflicting loyalties within the State Department and his own struggle to juggle international demands. You can also read about Argentina’s transition to democracy, which was aided by the junta’s defeat in the Falklands. 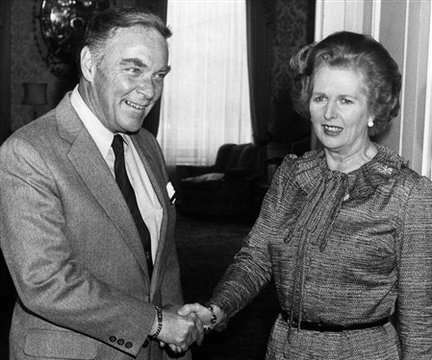 PENDLETON: I must say that, sitting in Northern European Affairs at the State Department and looking after our relations on a day-to-day basis with 10 Northern European countries, the Falklands were not at the top of my hit parade. Perhaps they should have been more on the screen than they were, but… the British had an interest in the Falklands which I was not sufficiently attuned to, and it came up a couple of times before the Argentines invaded on the 2nd of April, 1982…..
An official in the Foreign and Commonwealth Office had asked me which bureau in the State Department was in charge of the Ascension Island [later used as a strategic staging post during the Falklands War]. I hardly knew where they were, but I said I would find out when I got back to Washington…. We went to the Geographer, and the Africa Bureau said that they didn’t; the Latin America Bureau said they didn’t; the European Bureau didn’t claim to,[but they]probably should have. But the night of the invasion I found out that I had the responsibility for the Ascension Islands. At least in the process I had found out where they were…. I was fully preoccupied with a whole range of daily mini crises, and I was not expecting an invasion of the Falklands. Nobody was. The Argentine generals, I’m sure, thought that gaining sovereignty by war or peace over the Falklands would be a tremendous boost for them with the Argentine people, and they were misguided in their evaluation of what the British reaction might be. After all, the Falklands are comprised of two major islands and a whole bunch of small islands 300 miles to the east of the Argentine coast, and not an area in which the British should be expected to be able to protect with any great vigor or to recapture once captured. But on the evening of April 1, it was clear from intelligence signals that the Argentines were planning to invade…. [At the time] It was difficult to ascertain whether there were any [Americans] there, in part because the Falklands turned out to be in the consular district of Jamaica….We placed calls to Embassy London and to Jamaica and to Buenos Aires in this regard, but with the help of a longtime, very senior and very savvy INR [Bureau of Intelligence and Research] analyst, we were able to unearth… that there were 11 Americans, apparently, there, most of whom were Mormon missionaries. And with that in hand, we knew we had to do what we could to help them, which was precious little. All I could think of to do was to send a flash cable to our embassy in London instructing them to approach Her Majesty’s Government and ask that HMG request by flash cable that the Governor of the Falklands give every possible protection to our citizens. At that point we were reluctant to let the Argentines know that we knew that an invasion was impending; even though we had tried to, on the phone, talk around the issue of whether Americans were there. It was fairly hairy as things were moving fast, and the Governor himself was taken prisoner almost immediately after the Argentine invasion at first light the next morning. The request that he protect our citizens, of course, became something of a fool’s errand…. Q: I’d like to get a snapshot of the first day of this Falklands crisis. PENDLETON: One thing that was clear was that we quickly developed a rather major fracture in the interagency task force, which reflected the split that one saw from the top of the government on down between those who thought that we should tilt towards the British versus those who thought that we should tilt towards the Argentines….. That made for a fair challenge in terms of collaborating on those things that we had to do: the internal deadlines of each day, which included press guidance, dealing with the public, dealing with Congress, et cetera-and how we were going to approach the larger question of where we would come down politically vis-à-vis the Brits and the Argentines…. Once the Brits decided to send a fleet to recapture the Falklands, I found myself, day by day and week by week, in the eye of a hurricane….However, I think it is clear that [Secretary of State Alexander] Haig saw an opportunity fairly early on to try to shuttle and to mediate. And I had always assumed that Haig had wanted à la Kissinger, to be a shuttler. Indeed, he proved more than willing to shuttle those terribly long distances to London, Buenos Aires and back, and over the weeks that proved to be a very good thing. One meeting in which I participated before he undertook his first shuttle was a large meeting in his conference room, where he made quite clear that he was prepared to shuttle, but the question was, about what? And the question was whether he would plunge into the issue of sovereignty, which he saw as the ultimate issue for the Falklands, or whether he would try to deal with some of the more immediate issues that came from the invasion and to back the Argentines away and find some kind of compromise which wouldn’t immediately bog down over the issue of sovereignty. At that meeting, I found myself in a somewhat awkward position because the Secretary of State asked Tom Enders [Assistant Secretary for American Republic Affairs] to give his views on what he thought should be done. Tom was a remarkably eloquent and thoughtful individual, very assured of himself… and he gave a longish disquisition on the need to resolve the sovereignty issue if the entire Falklands problem was going to fester indefinitely. But he was determined to get in there and play an important role. And it proved absolutely essential that he do so, because when he got to London it really dawned on him how determined the British were, that they were indeed going to send a fleet. And when he got to Buenos Aires he became aware… what a bunch of comic clowns the Argentine generals were and how they could not compare as allies to our British NATO ally, the country with the “special relationship,” so-called – even if it was very hard for Americans to understand why they would send a fleet all the way to the South Atlantic, including drawing down forces that they’d committed to NATO. We were, from very early days, doing a lot to help the British, even while we were trying to pretend to be totally balanced in our approach. If the Argentines wanted, for example, Landsat [satellite] pictures of the Falklands, which you could practically buy on the open market… , wanted to buy Exocet missiles, about which the British were very concerned because of the impact it could have on any ships which might make it all the way down there, we put them off. We weighed in, we provided all sorts of help, which has all been heavily documented. Cap Weinberger, as Secretary of Defense, who was very close to the British, went out of his way to be helpful, and [Under Secretary for Political Affairs] Larry Eagleburger coordinated, from well before the moment of our public tilt towards the British…. In the end, the President made a decision, particularly after Haig came back, I think from his second shuttle, and reported on the disarray amongst the government in Argentina. We decided to tilt publicly and overtly towards the British. And I was asked to deliver at least one of those messages at three in the morning to an officer at the British Embassy, who was a friend of mine. I called him at home and woke him up. And he said, “Can’t it wait till morning?” I said, “No,” and he said, “Well, I’m going to let it wait till morning.” And I said, “You will want this, and I think you will regret it if you don’t come get it.” And so we agreed to meet at the British Embassy, which was on my way home. I drove over there and gave it to him. He was still grouchy, but he was less grouchy the next day. He thanked us for the decision. How many other channels the message was communicated through I do not know, but in a way, that made it easier for the task force to work coherently, as we had to do, because the British made the decision early on to send the fleet down. The invasion was on April 2nd, and the counterattack on Fort Stanley in the Falklands wasn’t until May 21. The surrender of the Argentines wasn’t until June 14. And in the meantime, I faced, from my very parochial point of view, this very dreadful situation of having to run and staff a working group and deal with all the daily questions with people calling in with suggestions as to what might be done and trying to strategize about what could be done to avoid a confrontation that seemed almost inevitable (if you listened to the British) and do this week after week after week…. Q: How did the Latin American contingent in the task force feel about the Argentine group? PENDLETON: I realized the minute I used the word “clowns” that that was being excessively polite, but I think that Haig was affected by the way they operated –or didn’t operate. But everybody was smart enough to know about the “disappeared” [the opponents to the regime in Argentina who were killed], about the human rights violations…. Once we tilted, it was not much of a problem…. The biggest problem was to find people who were willing to work around the clock, seven days a week, in shifts, albeit. But most of [Acting Assistant Secretary for Europe] Alan Holmes’s and my discussions, I’m sorry to say, as the weeks and months dragged by, were not about the substance of the matter but how the heck we could continue, as the European Bureau, to staff the working group, and what other things were slipping if we had good people who were there but getting tuckered out. Q: Was the feeling, once the British started coming, that they were going to retake the Falklands? PENDLETON: Yes. 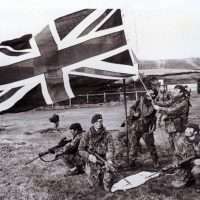 There was an absolute British determination to retake the Falklands. Our analysis was that they had more than enough resources to do so, despite the long supply line. We were quite confident that they could do so, but it was really unclear what the costs might be….We never gave up on the notion that we might be able to find some way to avoid bloodshed, but it was hard to do…. Q: When the British submarine torpedoed the [Argentine warship] Belgrano, with considerable loss of life, did that have any effect? That was really the first real blood, wasn’t it? PENDLETON: There had been some before, but that was the major indication that this could be really bloody…. I know I remember one thing that taught me a lesson about the Belgrano, though. 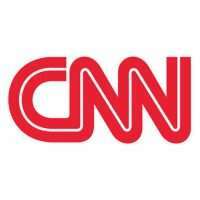 It has to do with CNN and the modern world and also about how you run a task force. My son Nathaniel was at that point, I believe, nine years old, and he was very interested in the Falklands because he never saw me, just knew I was working on it, and I hardly ever came home while he was awake. He called the task force and said to me, “What do you think about the Belgrano?” And I said, “What do you mean?” And he said, “Well, she’s been sunk.” And I said, “Nathaniel, if the Belgrano had been sunk, I would certainly know about it because I’m here in the midst of the task force, we have one of the finest intelligence operations eight feet away in the Operations Center, and nobody has said anything about it.” And he said, “Well, are you watching TV?” I said, “Well, we’ve watched TV for ten weeks and we’re so numb we can hardly put our eyes on them.” We had six screens going at once. He said, “You watch your TV, and you’ll find out the Belgrano has been sunk.” And we did, and I had to call him back five minutes later and tell him he was right and we were way behind…. 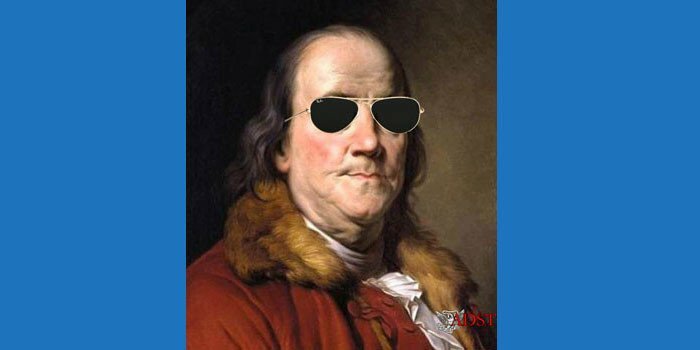 Q: How about when the British invaded and showed how inept the Argentineans were? PENDLETON: We knew that we had to start thinking quite quickly about the long term, and people were pretty tuckered out and had other growing preoccupations to think about…. but there were some interests that we became more aware of, such as oil and gas. And at the same time we became aware that in terms of American citizens, there were more than 11. I think we found 23 in the end. In terms of the British, we came to realize that, while the British fought for their people who were down there, there were very few of them as well. It became evident that a few influential landowners in London still were the ones who were calling the shots for the British Government to a degree. But it was a traditional emotional issue for the Brits, and I think most people in Washington involved with the issue were very happy to put the Falklands aside at the end….